County and city councils all over Ireland have worked hard to put together a wide range of activities for all the family this St Patrick’s Day, the 17th of March. With everything from parades to ferris wheels and fireworks displays, there is something for everyone to enjoy. Taking part in the community-led activities and events across St Patrick’s Weekend is a great way to support local businesses, local clubs such as GAA, dance, youth groups, and many more. Some highlights around the country include, the largest gathering of leprechauns in the world being hosted in Sligo; an entirely bee-themed parade in Kilkenny during which native wildflower seeds will be given to plant throughout the community; and, a Panoramic Wheel in Limerick which will offer stunning 360-degree views across the city’s skyline. 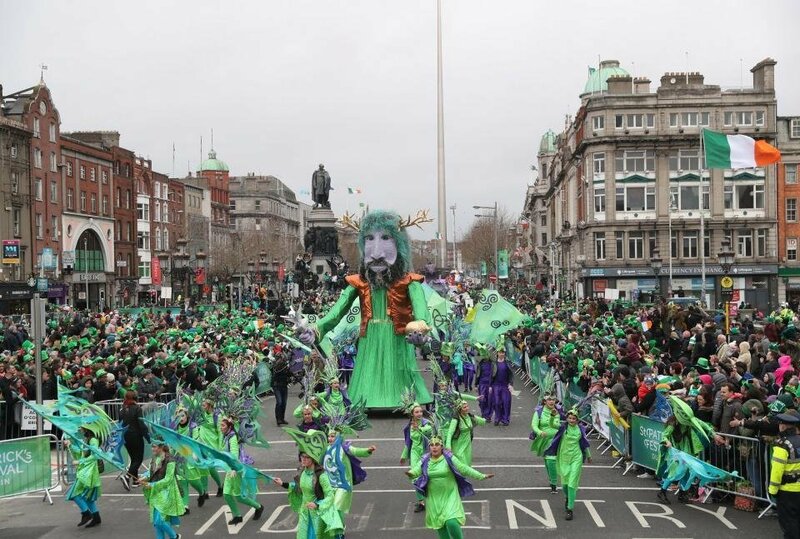 In recent years, Failte Ireland has come together with many local authorities and communities to attract international bands and visitors to their local St Patrick’s Day parades, through the celebration of Irish culture and traditions. So, you can be sure to see traditional Irish music, sport, and dancing all over the country on the 17th March. Make sure to keep your eyes peeled at your local parade as a few celebrities might even be making appearances across the country to join in the celebrations! 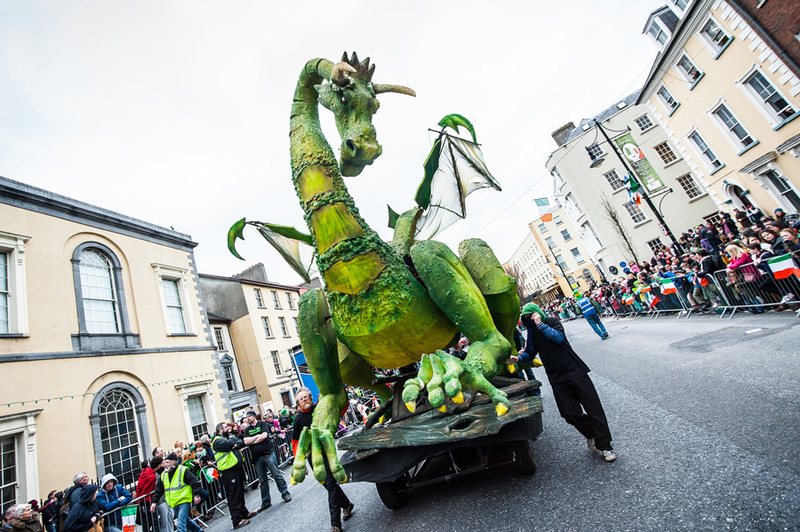 Local councils have also made huge efforts to ensure any floats are made with recycled materials and some, like Waterford City and County Council, have even put a rule in place that parade participants cannot use diesel powered vehicles in the parade. Waterford will also award the most environmentally friendly float, making for a real Green Festival! Don’t panic if you can’t make it on the day as a few of the local parades will be live streamed on social media, and the day’s activities can also be followed using hashtags on Twitter. Many local communities have even stretched the celebrations to make it a two- or three-day event! Local parades will also be catering for people with special needs and requirements, with County Clare incorporating an autism-friendly area where people with autism can go if they are feeling overwhelmed by the noise or crowds at the parade while still getting to enjoy the St. Patricks Day spectacle. You can check out your local County or City Council website or social media accounts to keep up to date with all the latest St Patrick’s Day happenings in your community. County and City Council staff will be working at events all over the country alongside thousands of volunteers. City and County Councils support more than 1,400 community events nationally every year. As well as financial support, this includes everything from staff support, health and safety support, to outdoor logistics, coordination and planning. 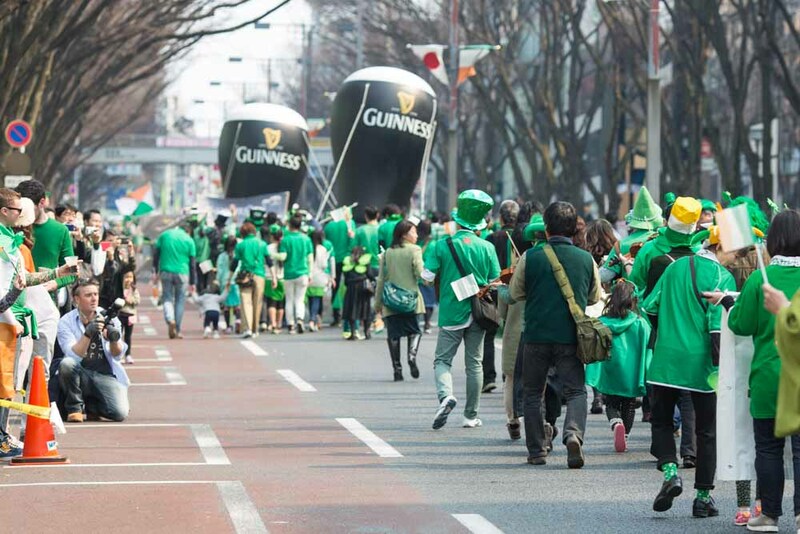 Irish City and County Councils are investing €2.5 million in St Patrick’s Day, so be sure to get involved in your local celebrations! In Galway City this year the parade will primarily focus on the importance of artistic input, with a long-term goal of providing artistic support for local community & drama groups. In line with the City’s recent efforts to place greater investment in Artistic infrastructure, the parade will follow an artistic theme. They city have partnered with St. Patrick’s Festival in Dublin for the provision of artistic infrastructure (floats, costumes, etc) for local community groups. This year the County Sligo parade was selected as one of 7 destinations as part of a pilot project with Fáilte Ireland, aiming to grow entries into the parade from the US market. Sligo was profiled at the largest marching band trade show in Chicago in December 2018, and the parade hopes to see international entries take part because of these efforts. As part of the festivities, a group of local volunteers are also hosting the largest gathering of Leprechauns in the World, in an aim to beat the current record 1467, which was set in Las Vegas, and raise funds for two local charities. Mayo County Council will facilitate nearly 20 parades around the county. Two all-electric vehicles recently acquired by Mayo County Council will take part in Castlebar’s St Patrick’s Day Parade. In Fingal, six parades will be held in the County on St Patrick’s Day, in Swords, Balbriggan, Blanchardstown, Lusk and Rush. The county is hoping to have more live music and bands present at all six parades, as well as more engagement with Fáilte Ireland and St Patrick’s Festival Dublin. The St Patricks Festival Dublin are working with several community groups to enter a float with the theme inspired by local mythology and traditions such as the legends of St. Patrick, Ériu the Goddess of Ireland and St. Patrick’s Island where St. Patrick is reputed to have first landed on Irish shores. Local groups will involve a series of artists led workshops exploring these themes alongside contemporary stories before the pageant, and there will be a live performance at this year’s Swords parade. This year’s St Patrick’s Day Parade and Festival in Carlow town will be a two-day event, for which the town has partnered up with the IRFU for the six nations. There will be seven parades in total taking place across the county. The Celtic Storm Ceili band will be coming all the way from Northern Ireland to perform love music at the Parade. In Kilkenny City, the theme of this year’s parade is “Bring the bees back”. The council are asking entrants to reflect this theme in their floats to celebrate Kilkenny county’s emblem, the humble bee in a fun and colourful way! All floats that incorporate the bee theme will be given native wildflower seeds to plant in their community that are bee friendly. This year’s Parade will finish at Kilkenny Castle and the Council have organised an afternoon of family events in the grounds of Kilkenny Castle. Across the St. Patrick’s Weekend there will also be several free events organised including marching bands on Saturday, 16th March and Monday, 18th March. The inspiring Vicky Phelan, native of Kilkenny, has agreed to be Grand Marshall for the St. Patrick’s Day Parade. Eleven parades will take place across County Laois on the 17th of March. The county also hopes to light up a few their Heritage and visitor attractions Green for the Festival Weekend. In County Louth, there will be a total of five parades and events taking place as part of the St Patrick’s Day festivities. In County Longford parades will be put in place by voluntary groups in Ballymahon and Lanesboro and the Chamber of Commerce in Longford. 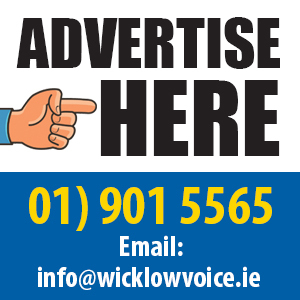 There will be five parades this year in County Wicklow, in Bray, Greystones and Wicklow, Arklow, and Rathdrum. Some of the parades will have participants from Twin Towns for the first time. Wicklow’s St Patricks Day festivities will be spread worldwide, as over the St Patrick’s Day weekend, the Wicklow Tourism Alliance will launch the Wicklow Eco Trail at the International Eco Trail Event at the Eiffel Tower Paris. The main parade in Waterford City, has placed a huge focus on driving participation amongst multicultural groups inside and outside the city. Over the past 3 years the parade has aided in a partnership between Ireland and Scandinavia. Each year, with the aid of the chamber of commerce students from Scandinavia travel to Waterford to be part of the parade. Waterford City council has also worked closely with Fáilte Ireland to progress their initiative to attract international bands and visitors to the County. Des and Mona Manahan, who drew worldwide attention for their heart-warming story of love, will be the Grand Marshalls at the Parade. The City Council have also put new rules in place dictating that parade participants cannot use diesel powered vehicles in the parade. They also encourage groups to build any float or parent entries with recycled materials and there will be an award in place for the most environmentally friendly. The whole day’s events will be livestreamed on Facebook for those who cannot attend. In County Clare this year, as part of the county’s continued efforts each year to increase entrants in the parade and improve the visual spectacle for the public through music & colour, this year prizes will be awarded for the most colourful and musical spectacle. This year’s parade will be providing an Autism Friendly Area where people with Autism can go if they are feeling overwhelmed by the noise/crowds at the parade & still enjoy the St. Patricks Day spectacle. Mary Fitzgerald is this year’s Grand Marshall in recognition of her work as a founder member of Clare Haven, Women’s Refuge and her award of the Christine Buckley Volunteer of the Year at the Volunteer Ireland Awards. 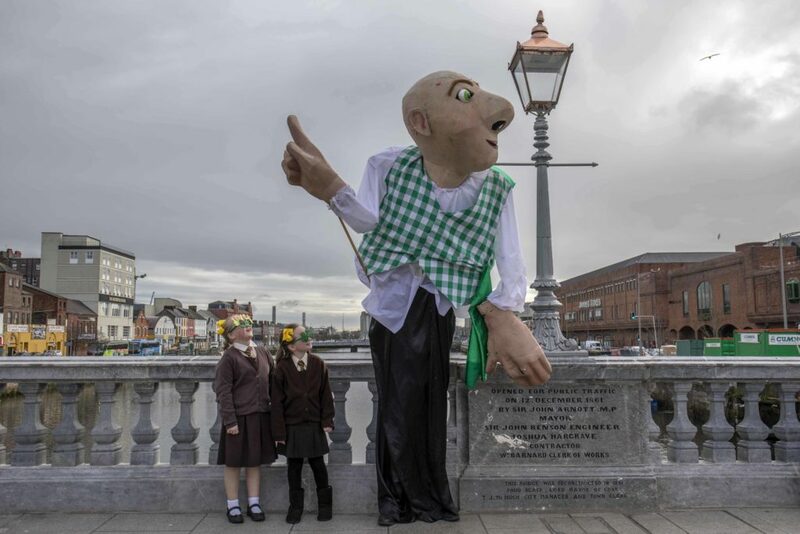 There will be one parade in Limerick City, which will be accompanied by several exciting activities and events across the weekend. The theme of this year’s parade is One Giant Leap marking the 50th anniversary of Neil Armstrong’s landing on the moon. The events that will be taking place include the colourful and energetic Parade, Ireland’s only international Band Championship featuring more than 1,300 musicians, a dazzling fireworks display, a 40-foot panoramic wheel and the Museum of the Moon.The fireworks display will be kick off the festivities on St Patrick’s Day Eve, while the Panoramic Wheel in place will offer stunning 360-degree views across Limerick’s skyline from the 9th March until the 21st April at Arthur’s Quay Park. 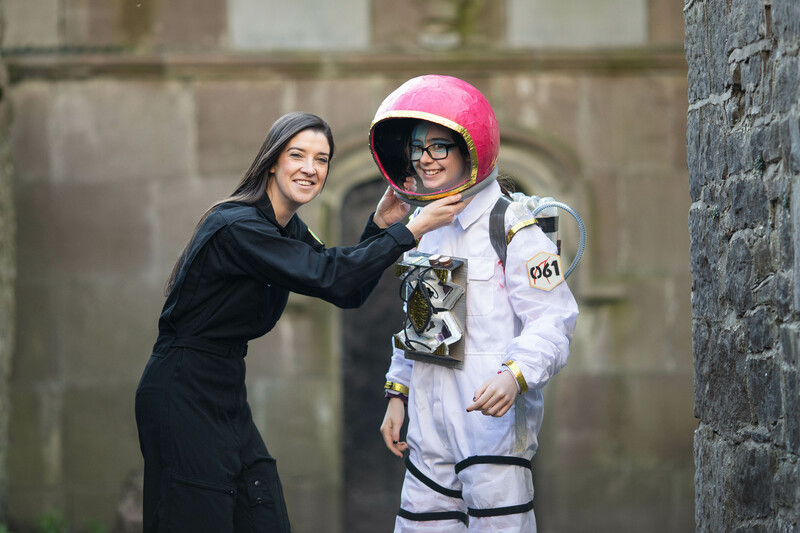 The Museum of the Moon will land in St Mary’s Cathedral from 15th to the 22nd of March. Across County Cork, there will be a huge number of 28 parades taking place, all organised by local community groups. The main parade in Cork City will be celebrating the theme ‘Stories of Cork’, which invites local community organisations to express their Irishness and what it means to them. It also provides an opportunity for visitors to see why Corkonians are so proud of their city. Throughout the festival weekend, there will be traditional Irish music from the Lee Sessions, exhibitions celebrating Irish culture, plus theatre, music, guided tours and talks. The parade hopes to be a vibrant carnival of colours, music, marching bands, amazing floats and community groups with up to 3,000 participants taking part, including some visiting from the USA. Some of the exciting floats to look forward to including, a flock of Cork Gulls, a huge puppet of St. Patrick, and a series of very “Cork” buildings who will roam the streets of Cork. There will be puppeteers, art organisations, and street performers working alongside these floats on the day. The parade will also include performances from marching bands all the way from Indiana, North Dakota, Colorado and New York, in the United States. There will be nine parades across County Tipperary this St Patrick’s Day. This year’s parade will see more sketches and music with an emphasis on local area Nenagh. There will also be emphasis on cycling in Carrick on Suir. In Clonmel, the Grand marshal for the day is the National President of St Vincent de Paul – Kieran Lafford who is originally from Clonmel. In Clonmel, this year there will be a themed approach and participants in the parade as well as local shop owners, can win prizes for the best entries under “Irish Heroes”. In Thurles, the parade will follow an environmentally friendly theme. There will be four parades taking place in County Monaghan this year. The county has encouraged more community walking floats this year. The Carrickmacross Castleblayney Municipal District are specifically aiming to promote the Irish language by securing prize money from Coiste na Gaeilge to support Comórtas na bhfuínneoga. They have also sourced sponsorship and prizes from local businesses which will be awarded on the day for Best Float, Best Band and Best Dressed Window. Their annual Flag Raising Ceremony will take place at 11am, and they are encouraging street vendors to participate on the day to add to the ambience. All across the county, the council are encouraging the involvement and creation of floats which promote environmental awareness. There will be plenty of live traditional music on the day. The Monaghan town parade will also be live streamed for anyone who can’t make it on the day.